Minister for Agriculture, Dr. Mahendra Reddy has highlighted that dalo exports from Taveuni has dropped by 40 percent. Dr. Reddy says this is due to inconsiderate cultivation practices that has resulted in the continuous depletion of soil nutrients in Taveuni. Reddy says the government will continue to improve soil fertility to ensure improved and efficient dalo production and continue development of the commodity for the local and export markets. 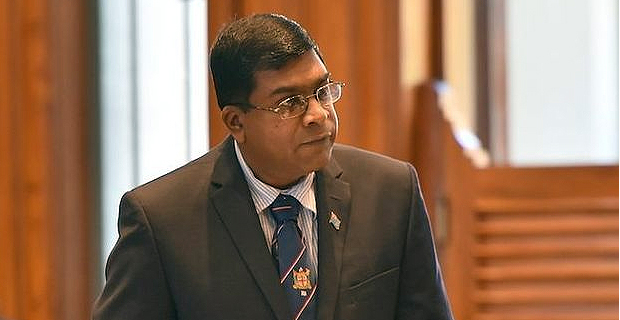 While speaking to farmers in Naitasiri, Dr. Reddy says the ministry has continued to invest resources towards strengthening programs centered on improving the soil fertility status in dalo growing areas for enhanced production, particularly in targeted areas in the Central and Northern Divisions. He adds the Ministry will strengthen its program on improving the soil fertility status in dalo growing areas and it will be achieved through the use of mucuna fallow crop which will improve soil fertility, introduction of agroforestry, use of poultry manure and the application of phosphorous and potassium fertilizers. He also highlighted the Ministry would actively encourage the implementation of irrigated dalo production systems during dry months and would strengthen advisory technical support services to lift production. Reddy says there is an urgent need to boost our export market so that we can generate enough foreign revenue which is critical for the economy, which will in turn contribute to the development of the sector as well.